Known for: The Professionals (1966), Cool Hand Luke (1967), In Cold Blood (1967), Butch Cassidy and the Sundance Kid (1969), The Day of the Locust (1975), Tequila Sunrise (1988), American Beauty (1999), Road to Perdition (2002). Paired with director Alfred Hitchcock. Nominated for 11 Oscars. Another 68 wins & 46 nominations. 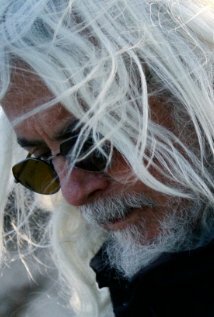 Known for: Shawshenk Redemption, Barton Fink, Fargo, The Assassination of Jesse James, A Beautiful Mind, The Big Lebowski, No Country for Old Men, Revolutionary Road, The Reader, Doubt, True Grit, The Man Who Wasn’t There, No Country for Old Men, O Brother, Where Art Thou? Skyfall. Known for: Legends of the Fall, Braveheart, The Thin Red Line, Almost Famous, The Last Samurai, Iron Man 3, Cloud Atlas. Known for: JFK, The Doors, Platoon, Wall Street, Hugo, Kill Bill I & 2, Natural Born Killers, Casino, Nixon, The Horse Whisperer, Snow Falling on Cedars, The Aviator, Shutter Island, Hugo, Inglourious Basterds, Django Unchained, World War Z. 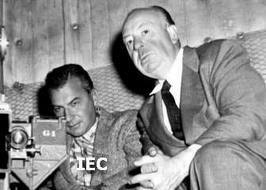 What is your opinion about the relationship between director and cinematographer? 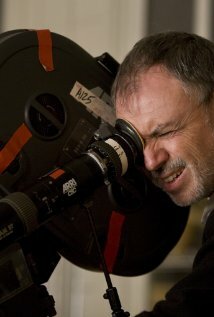 Who are your favorite cinematographers? Great list, Cindy. So glad you have Conrad Hall leading this off. Love his work. Thanks, Michael. What a great career. Butch Cassidy, In Cold Blood, Cool Hand Luke, Marathon Man. He could do it all. Thank you, Rob. Is it me? It seems like directors are household names while the guy who’s actually filming takes the back seat. I’d add Jack Cardiff. Love his cinematography in films like ‘Black Narcissus’ (1947), ‘The Red Shoes’ (1948), Hitchcock’s ‘Under Capricorn’ (1949) and King Vidor’s ‘War and Peace’ (1956), to name a few. And from more recent times, I love Ellen Kuras’ (funny you haven’t mentioned a single female cinematographer) work on one my favourites, ‘Eternal Sunshine of the Spotless Mind’ (2004), and her work on movies like ‘Swoon’ (1992) and ‘Blow’ (2001). Hi Nuwansen. Ouch. I thought about Ellen Kuras but she seems to have fallen off the radar. Not to say that her work wasn’t stellar. I should have. Shame on me. I’m glad you called out Jack Cardiff. ‘The Red Shoes’ is great and I need to add Hitchcock’s ‘Under Capricorn’ because I haven’t seen it. My favorite of his would be ‘African Queen’. Great post that I entirely agree with. I’m always on the lookout for who the cinematographer is. In many senses they are the true visionaries behind a film. 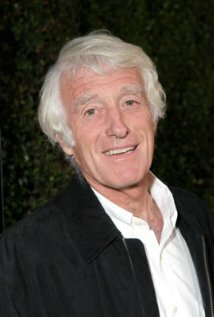 I’d have to say that Roger Deakins is a real favourite of mine. If I had one guy to shoot my film, it’d be him. Ta, Mark. I’m not surprised you picked Roger Deakins knowing your love for the Coen Bros. I think I’d go for Roger Richardson. Love his ability to do war, peace, cool special effects like Shutter Island and his relationships with Tarantino, Stone, and Scorsese. Tough! Love Roger Deakins, too. I’d love to be on a set and listen to the director and the cinematographer talk about what’s in their head and how to get that on film. Seems to me the cinematographer has the harder job. I reckon the cinematographer has the harder job too. As much as they do get respect, I often feel it’s never quite enough. Richardson is a great choice. I admire the man greatly as I do all your highlights here. Hall, Lubezki… the lot. Some great movies mentioned there Cindy, including one of my faves, Butch Cassidy! I guess the two big hitters now are Wally Pfister and Roger Deakins eh. Hi Thomas, so glad you mentioned Wally Pfister. 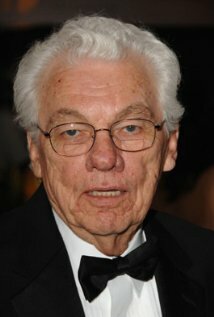 He sure is the king of Gothic and made The Dark Knight franchise and Inception a model to surpress. I also loved him behind the camera for ‘The Italian Job’, ‘Prestige’, and even ‘Moneyball’ and of course, ‘Memento’. Hi GP, after I thought about cinematographers, I was thinking what a thankless job the editor is. All those cameras shooting the same sequence, and the editor has to splice them into a coherent story. I can only name one editor. Seems like the director gets all the glory. Hi Mikey, Yes, he sure does! What a long, career crossing over many directors and genres. I think it takes a special sensibility to capture a western, a fast-paced thiller blockbuster, a period piece, a quiet film with little special effects, and a loud film with unusual, quirky, fun tricks. He can do it all. 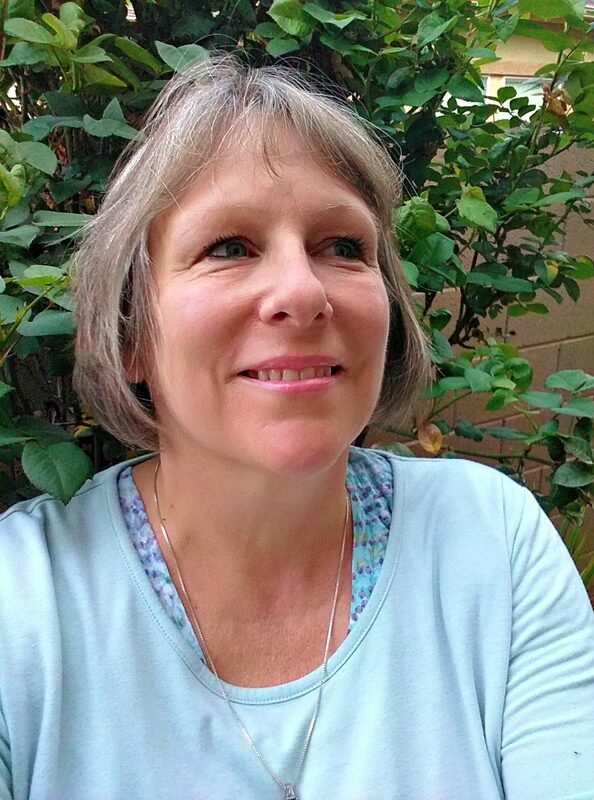 Hi Cindy, interesting article and comments as always. Terrence Malick is someone I instantly thought of with regard to cinematography, he’s produced some of the most beautiful films I’ve seen. I’ve just been reading an interesting essay that came with the Criterion Collection release of Days of Heaven, where cinematographer Nestor Almendros states that Malick is unusual for a director because he knows a lot about photography and he also has an equally exceptional knowledge of painting. It shows in his work because I could quite happily frame a still from one of his films and hang it on my wall. Off the top of my head a couple of my favourite cinematographers are Philippe Rousselot (Dangerous Liaisons, Flesh and Bone) and Michael Ballhaus (The Fabulous Baker Boys, Goodfellas, The Age of Innocence). Thanks, Paul, for your contribution to the discussion. I LOVE your choices and glad you mentioned Michael Ballhaus and Philippe Rousselot and Nester Almendros. The films you listed are some of my favorites because they are so beautiful to look at, especially Dangerous Liaisons and The Age of Innocence–perfect period pieces because Michelle Pfeiffer 😉 is in them and the way the story unfolds–brilliant. Great post as always girl! Cinematographers are really unsung heroes aren’t they? Conrad L. Hall’s work in Road to Perdition is one of my all time favorites. I love Deakins & Lubezki’s work, too, they’re like a work of art and elevates every film in terms of mood and visuals. Thanks, Ruth. It would be fascinating to be a fly on the wall when the cinematographer and the director talk about the vision. How they have to juggle and collaborate their minds and hearts to the project. All the complications and challenges to creating the art! Not to mention whatever ego issues are happening. Very similiar, I am guessing, to putting on a play or musical. The process is dramatic and ugly at times, but the result is a work of art. I love that process. Great choices. Conrad L Hall is the first one I thought of. Gregg Toland is the other one that comes to mind for me. Citizen Kane! Yes! He used lighting uniquely. Instead of typical top to down, his interiors and exteriors were lit from the floor up giving a more realistic and softer feel. I wrote a piece on my site raving about him, but it’s one of the least read pieces 😦 Great description of him though and again, great post. It was very early on in the blog so not surprised it doesn’t get many hits, it’s more to do with the fact it never gets looked for in Google. Such a phenomenal talent. His technique of deep focus photography and keeping sound out of the filming process seems lame today, but how important back then. He was a founding father. Great post Cindy! Roger Deakins has to be up there with the very best cinematographers. His work is always exemplary. Wally Pfister is also pretty decent too, even if his debut directorial Transcendence was utter tosh. Howdy, Chris. 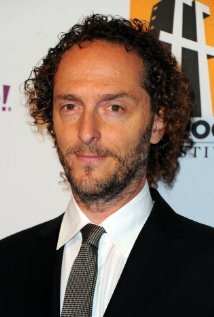 I remember your review of Transcendence and agree that Wally has potential. He should bounce back swinging, I hope for I think he’s talented. As for Roger, gosh, he makes all directors look great. He has that ability to follow through with the vision of the director and I suspect adds much in the way of suggestion or taking the reins. Nice list. I’d add Vittorio Storaro, but you’ve named many of my favorite cinematographers. Excellent work, I love the work of Gordon Willis in the Godfather movies. Great choices and definitions, Cindy! I’ll go Old School and stick to mostly B&W for my choices. James Wong Howe: Sweet Smell of Success, Objective, Burma!, Hud, Seconds and some superb washed out, pastel color desert work in Hombe . Doubling down on Conrad Hall. And his exemplary work with In Cold Blood . The scene of reflected raindrops streaking down Robert Blake’s face as he awaits hanging still works! John Alton: For his mastery of shadow, diffused light, fog and smoke in The Big Combo . A superlative low budget, back lot crime Noir that practices and bleeds what it preaches! Robby Muller: For his smoggy William Friedken pressure cooker, To Live and Die in L.A. .
And making even the smoggy skyline look oppressive! Thank you, always, for your erudite contributions. Nice call on Conrad Hall’s ‘In Cold Blood’ particularly the hanging scene you mentioned. Quiet authority, there. ‘Paris, Texas’ is the only Robert Muller work–but I have heard of the yellowy-pasty effect in ‘To Live and Die in L.A.’ and realize there’s a lot more of his films I need to see. I agree. He’s my favorite. I thought ‘Shutter Island’ was magnificient — reminded me of Scorsese’s fun with the reverse negative in his remake of ‘Cape Fear’. ‘The Aviator’ well, shoot, everytime he works with Scorsese. i agree completely. in fact. many hihly regarded films would be nothing without the cinematographer, who should be given auteur status in the cases of apocalypse now and the long goodbye, both films directed miserably but cinemagraphically brilliant. Thanks, Bill. I’m surprised how little lime light they get. they dont get the acclaim, but they do get more work than the directors. These were brilliant folks to highlight, Cindy. Thanks for pointing out just how much talent is required to make these films the spectacular pieces of art that they are. Howdy, and thanks! I don’t see how they don’t direct–after all, they decide where to point the camera and factor in the lighting. I suppose there’s a lot to consider while directing and the cinematographer gets to avoid the annoyances a director must contend with. I wish I could talk to one!